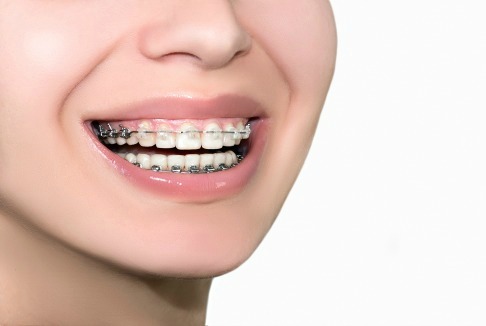 Orthodontics (dental braces or teeth braces) is a branch within dentistry that specializes in the prevention and treatment of how teeth align, are positioned, and how they occlude or bite together and function. 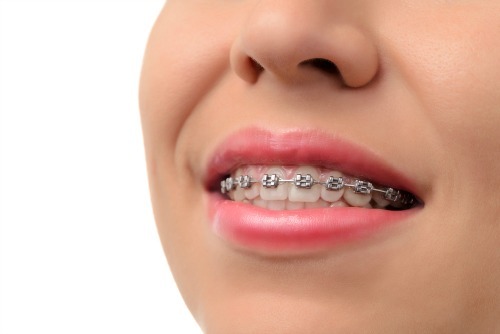 Traditional metal braces are the most popular form of orthodontic therapy. People of all ages can benefit from orthodontic therapy. Children and preteens typically sport either tooth colored or metal braces while many older teenagers and adults elect Invisalign, ceramic, or Incognito braces. How do I know if dental braces would improve my smile? Every preventive and initial exam dental visit includes a occlusion exam. The dentist will ask you to close your teeth together. The dentist will examine to see how your teeth align and bite together. Afterwards, the dentist will discuss their findings with you or in the case of a minor, with the accompanying parent or legal guardian. Call (763) 586-9988 to schedule a complimentary orthodontic consultation or click to request an appointment online. During your exam, the dentist will ask for you to bite your teeth together. The dentist will tell the dental assistant or hygienist to record a occlusion classification number of one, two, or three. Below is a description for each occlusion (bite) classification. Class I is considered an ideal relationship for how the maxillary (top) molar teeth occlude with the mandibular (bottom) molar teeth. molars position is more forward than the mandibular (bottom) molars when they occlude together. Orthodontic therapy can correct this. Class III occlusion is often referred to as an underbite. The lower jaw and teeth are positioned forward to the maxillary (top) teeth. Orthodontic therapy can correct this. In severe cases, jaw surgery may be necessary. Afterwards the dentist will review and discuss their findings with you, or in the case of a minor, with the accompanying parent or legal guardian. 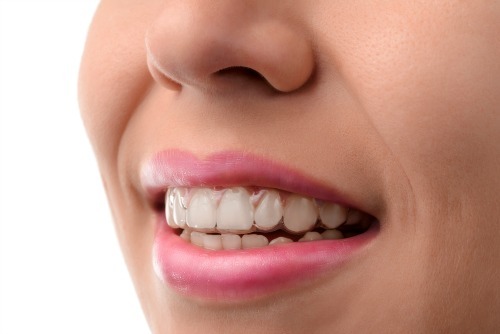 Invisalign is commonly referred to as “invisible braces”. 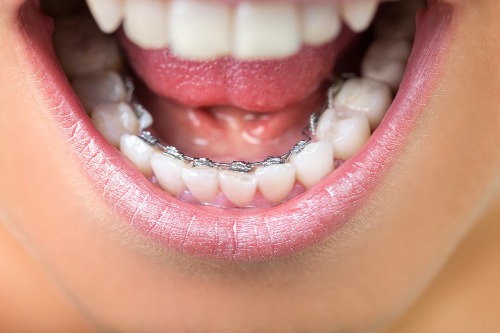 Traditional metal braces require an orthodontist to place bands, brackets, and metal wires to teeth to the tooth surface in order to correct the position and appearance of teeth. Invisalign instead uses clear aligners (trays) to correct the position and appearance of teeth. Dr. Thyra Jagger is certified to perform orthodontic therapy using Invisalign. Call (763)586-9988 to schedule a complimentary Invisalign consultation or click the button below to request an appointment. If Invisalign is not an option for you, your dentist will refer you to an orthodontist for an orthodontic consultation. Dentistry for the Entire Family collaborates with several orthodontists throughout the Twin Cities area. Following your appointment, the orthodontist will send us an orthodontic consultation summary report of their findings and proposed treatment options. 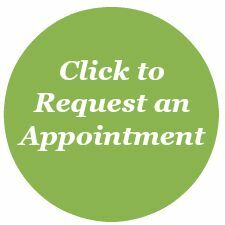 If you wish, one of our patient care coordinators can arrange your orthodontic consultation appointment or you can call and schedule the consultation appointment yourself. A consultation summary report will be sent to us following your child’s orthodontic consultation appointment that includes a summary of the orthodontist’s findings as well as discussed treatment options. Brushing and flossing is critical while having braces in order to prevent dental caries (cavities) and from developing white spots resulting from the demineralization of enamel from ineffective brushing and flossing. Phase II of orthodontic therapy requires frequent visits, typically every 4-6 weeks to the orthodontist for them to evaluate progress and change out your arch wires and elastics. Custom fabricated mouthguards are strongly recommended for people who participate in athletics in order to prevent injuries to the mouth and teeth. Having dental braces makes it difficult to consume some of your favorite foods like apples and corn on the cob. To enjoy these foods, it will be necessary to cut these foods into small, bite sized chunks to avoid damage to the orthodontic wires. Foods and beverages that stain like coffee and tea should be minimized if you elect tooth colored braces as these will become stained over time. Daily use of a prescription strength fluoride rinse is highly recommended during orthodontic therapy because it more difficult to effectively clean around the dental braces. Dental fluoride helps prevent dental caries (cavities). If you decide to proceed with orthodontic therapy, listed below is a common list of records that will your dentist or orthodontist will need to get started. child’s teeth to check for the presence of all permanent adult teeth as well as look for any potential future space or crowding issues. This early consultation allows the parent and the orthodontist to establish a phased orthodontic treatment plan if necessary. Phased orthodontics is a term that is used to describe the treatment phase of an orthodontic treatment plan. There are three phases: phase one is early interceptive treatment, phase two is the actual treatment phase, and phase three is retention. Early interceptive treatment enables your orthodontist to take advantage your child’s active growth stages. The orthodontist can help guide the growth and development of your child’s top and bottom jaw relationship while they still have primary (baby) teeth. This will help reduce the severity of phase two as well as minimizes the need to remove permanent teeth later on. This phase requires frequent orthodontic appointment visits, typically every 4-6 weeks for your orthodontist to evaluate and make adjustments as necessary to your teeth braces in order to guide the teeth into their ideal position. The orthodontist will also evaluate the effectiveness of your child’s oral home care routine and send Dentistry for the Entire Family a written summary report of your child’s orthodontic treatment plan. Note: It’s essential that your child continues to have professional teeth cleanings and exams by your child’s referring dentist every six months while having dental braces. Once orthodontic therapy is complete and teeth braces are removed, the orthodontist will place permanent and/or fabricate removable orthodontic retainers in order to retain the ideal position of every tooth. Teeth will shift if not retained. Orthodontic retention phase lasts indefinitely. It is important to be familiar with commonly used terms regarding dental braces. Below are a few commonly used terms. A. The cost of dental braces varies greatly upon the complexity of your treatment plan. Upon completion of your consultation, your orthodontist will be able to provide you with an estimate of treatment costs. Q. Does my dental insurance cover the cost of braces? A. Many dental insurance policies do provide partial coverage for dental braces. To know for sure, we recommend that you ask one of our patient care coordinators to check your specific dental insurance for orthodontic benefit coverage. Q. Are dental braces considered cosmetic treatment? A. While the end result of dental braces results in a beautiful smile, if the patient has malocclusion, dental insurance providers do not consider dental braces to be a cosmetic treatment. Q. Does having braces hurt? A. Dental braces do not hurt but the teeth and gums may feel more tender after dental braces are initially placed or following an orthodontic adjustment. Q. Can adults get braces? A. YES! There is no age limit to who can benefit from dental braces so long as your teeth and bone are healthy. Q. Can I have braces if I have missing teeth, dental crowns, or a dental bridge? A. Yes so long as the supporting teeth and bone structures are healthy. Q. Will I need to have any permanent teeth extracted? A. It depends upon the individual. Your referring orthodontist will contact your dentist if they propose teeth extraction. Q. How long will it take to complete my orthodontic treatment? A. The length of time to complete orthodontic therapy varies greatly upon the complexity and patient compliance of their treatment plan. Q. Are there foods to avoid while wearing dental braces? A. Any food or beverage that may alter the orthodontic brackets and/or archwire should be avoided. This includes foods that are sticky, hard, or chewy.